Cows always rest on their chests so that their digestion is not impaired. Rodents sometimes rest sitting down, while kangaroos sometimes lie on their backs. The larger the animal, the less often it lies down, and when it does, it is more likely to lie on its side—but there are exceptions. A team from UZH investigated the resting postures of mammals. In ruminants such as cows, sheep, antelopes, deer and giraffes, the bits of food in the stomach that need to be chewed again are sorted using gravity. In order for the process to work smoothly at all times, the stomach has to stay in the same position relative to gravity whether the animal is standing or lying down. That's why cows always lie on their chests and almost never on their sides. It was therefore assumed that animals that digest food in a different way would be more likely to lie on their sides. 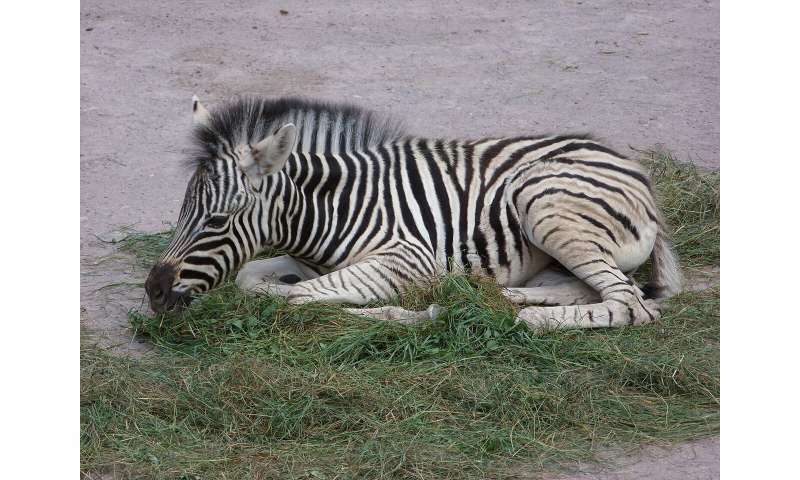 To investigate the connection between digestive systems and resting postures in more detail, researchers from the University of Zurich observed 250 mammals in zoos in more than 30,000 rest phases. They discovered that their assumption was not quite correct. Alongside other factors, body size influences the animals' resting posture more than digestion type. Small animals with short legs spend a lot of time lying on their chests—the body shape of such animals, e.g. 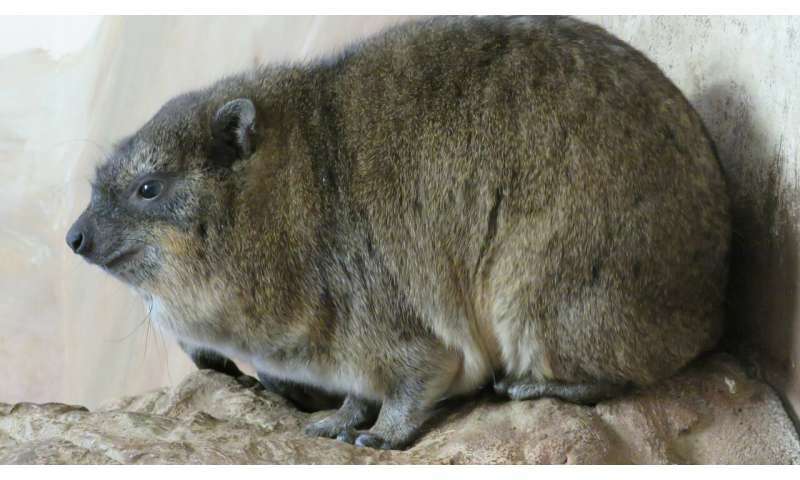 the rock hyrax, is perfect for this position. "The shorter the distance of the mid-body to the floor, the more likely the animals are to lie down," says Prof. Marcus Clauss of the UZH Clinic for Zoo Animals, Exotic Pets and Wildlife. 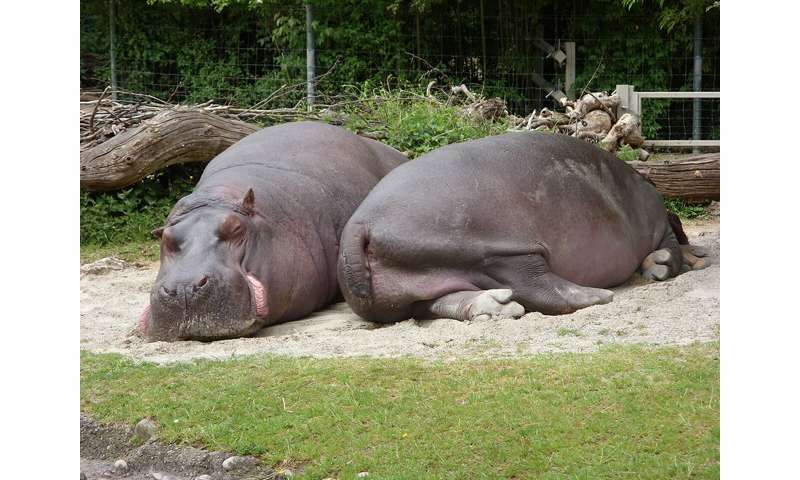 The larger animals are, the more often they lie completely on their sides, which is more comfortable for the legs of larger animals. Of all the herbivores, elephants lie on their sides the most often. 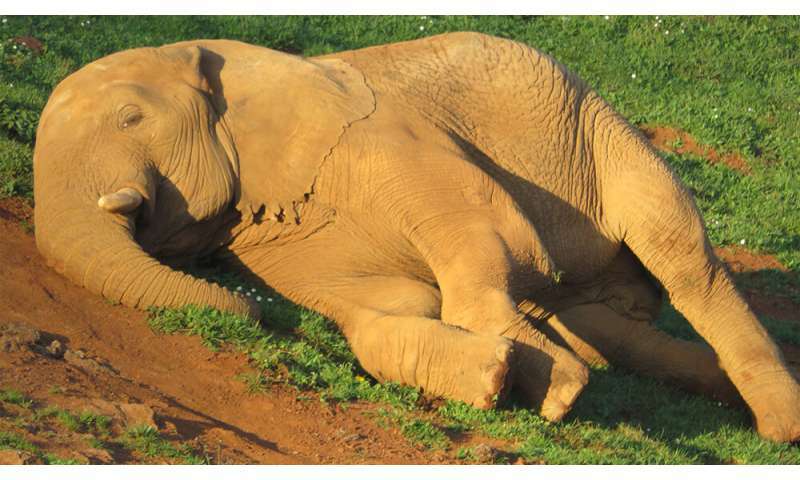 However, older elephants, for whom getting up again is difficult, avoid lying down. "For that reason, it's important that mounds of sand are available to elephants in zoos. If they are propped up slightly when lying down, even older animals can get up much more easily," explains Christian Schiffman, the research team's elephant specialist. If the animals don't have this option, they are more likely to lean against walls, pillars or tree trunks.